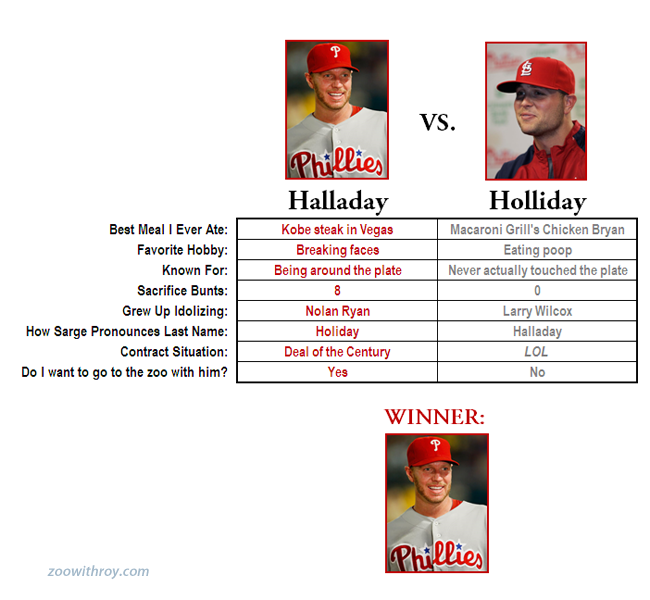 You know that Halladay grew up idolizing Dale Murphy. For shame, ZWR. This is clearly the most objective tale of the tape ever. Bravo. methinks this contest was over before it began. Count the # of times Sarge says "for me" in a telecast. It's too much. Brilliant. And totally spot on with Sarge's pronunciation, haha. The Chicken Bryan is a dish from Carrabba's! Get it right! Just like Sarge, this post is pure 100% awesomeness.